You can register your motorcycle for 45 or 90 days use in a 12-month period. If you want to change a permit to 45 or 90 days you need to get a new permit issued which will require re-signing by a club signatory. The issued logbook must be filled in with the particulars for each day of use – which means filling in all the columns. Failure to do so will result in a fine if checked by the Police. However, you do not need to fill in the log book to test the motorcycle within 100 meters of the garaged address. You may be able to travel to other states that have an equivalent scheme (please check with the interstate equivalent of VicRoads before you travel). The permit is valid for one year and is not transferable to another person or another vehicle. Other riders may use your motorcycle, but it must be noted in the log book. Riders do not need to be members of a permit-based club. If your club membership lapses your bikes are technically unregistered, and CIMAA must report them as such to VicRoads. You can transfer your Club Permit(s) obtained via CIMAA to another certified club to retain your current registration plate and the value of the remaining registration. However, the new club must treat your motorcycle as if it is a new permit application – with all the new requirements to be met. To avoid extra cost, ensure your VicRoads registration is paid within 90 days of the renewal date and maintain your club membership by paying the membership before June 30 of each year. You must have a CIMAA membership card (number), and your membership must be current. Your motorcycle must have been manufactured at least 25 years before your registration year and month. You must have a document of proof of ownership or management of the vehicle. 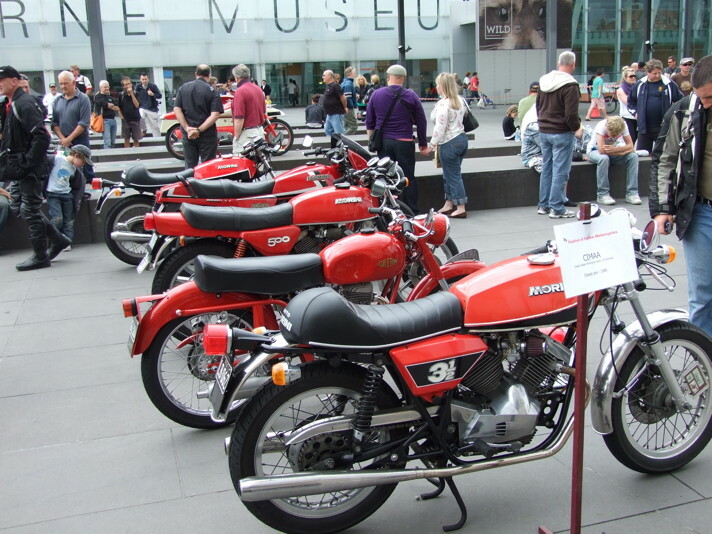 Motorcycles manufactured outside of Australia after 30 June 1975 which do not have a previous Australian registration history or an Australian Design Rules (ADR) compliance plate must have a Vehicle Assessment Signatory Scheme (VASS) approval certificate to demonstrate that the vehicle meets the Australian Design Rules that applied at the time the vehicle was manufactured. Club Permit or Recreational Registration is NOT considered previous Australian registration history. It must be a full registration document/number plate from any state. For a small charge you can establish whether a vehicle has a previous Australian registration history by performing a Personal Property Securities Register (PPSR) search. If the resulting PPSR certificate shows relevant information from NEVDIS you can print the certificate or at least record the Serial Number of the Search Certificate PDF file. VicRoads have accepted these certificates in the past. If the result is unsuccessful, a VASS certificate will be required. Motorcycles manufactured on or before 31st December 1948 do not require a Road Worthy Certificate or VASS approval certificate but must pass a Club Safety Inspection. Club permit vehicles must comply with the Vehicle Standards, appropriate to the date the vehicle was manufactured, contained in Schedule 2 of the Road Safety (Vehicles) Regulations 2009. All vehicle standards and modification guidelines are available from VicRoads website: Vehicle standards information (document number 33). Ensure your CIMAA membership is current. Join or renew your membership here. Pick up the following forms from any VicRoads office (or print your own from these links). You also need to provide proof of ownership of the motorcycle to VicRoads in step 5, so find the purchase details/receipt/previous registration now. Fill out the forms, and check you comply with the conditions before proceeding to step 3. Motorcycles manufactured on or before 31st December 1948 do not require a Road Worthy Certificate. Instead, you require a signed CIMAA Safety Inspection form which can be obtained during the Vehicle Eligibility Inspection. Note the Road Worthy Certificate inspection requires the tester to remove drum-braked wheels and photograph the drums and shoes. This may incur extra cost. Discuss your options with the Road Worthy tester. After you have obtained your Roadworthy Certificate (if required) you can have your motorcycle inspected by a club scrutineer to obtain a signed Vehicle Eligibility and Standards Declaration form. The motorcycle is photographed during the inspection, and you can help by ensuring a clear photograph of the Compliance Plate (if fitted), Frame Number and Engine Number is possible. If your motorcycle has no compliance plate and was manufactured before June 30 1975 you must bring documentation to support your claim. The Import Approval Certificate issued to allow importation to Australia is preferred. Send the completed Club Permit Application form and the Vehicle Eligibility and Standards Declaration together with a stamped and self-addressed envelope to the Victorian Secretary for signing. Address to: CIMAA (Vic), PO Box 565 Glen Waverley 3150. Submitting the form by post is the only means of getting the form signed – if you need your motorcycle for an upcoming event then plan well ahead of time. Note that your Vehicle Eligibility and Standards Declaration and Road Worthy Certificate have a 30 day life from the date of signing. Take the signed forms together with proof of ownership and your current CIMAA membership card to any VicRoads office, pay and collect the plate. Check the details on the issued registration forms before leaving the building. Some VicRoads offices do not have a constant supply of club permit number plates. If you are needing the registration urgently, consider phoning the branch to check. Burwood or Carlton always have plates. Send an email to vicmember@cimaa.asn.au with the bike details and new registration number. It is a legal requirement for CIMAA to maintain a database of currently registered motorcycles. Notify us of any registration changes by email to vicmember@cimaa.asn.au or fill out your registration details on the update form. VicRoads posts you a renewal form and logbook a few weeks before expiry. If you have not received your renewal form in the mail you can go to a VicRoads office and request a renewal form to be printed at the counter. VicRoads allows a 3-month period in which you can renew a lapsed permit without having to obtain a new Road Worthy Certificate or Vehicle Eligibility Inspection. Keep track of when your permit expires and request from VicRoads a renewal form if it hasn’t arrived in time. From the 1st of February 2015 you must provide a Conformity Declaration to the Victorian Secretary affirming your motorcycle still meets the original permit conditions of safety and eligibility, otherwise your renewal form will be returned unsigned. Ensure your CIMAA membership is current. Renew your membership here. Print and fill out the Conformity Declaration. Check the renewal form for correctness. Post your renewal form and Conformity Declaration together with a stamped and self-addressed envelope to the Victorian Secretary for signing. Address to: CIMAA (Vic), PO Box 565 Glen Waverley 3150. The VicRoads renewal form needs to be signed by the Victorian Secretary – even if your form shows a VicRoads printed message “NOT REQUIRED – SIGHTED ON INITIAL APPLICATION FORM” in the Name of Secretary box. VicRoads will reject an unsigned application. Take the signed renewal form to any VicRoads office and pay by going directly to the Cashier. To transfer your existing club permit from another Club to CIMAA you must have your motorcycle inspected by a CIMAA club scrutineer. A transfer is treated as a new registration and requires CIMAA to sign the Vehicle Eligibility and Standards Declaration form -. but a Roadworthy Certificate or VASS Approval are not required. a letter from CIMAA confirming that you are a current member. 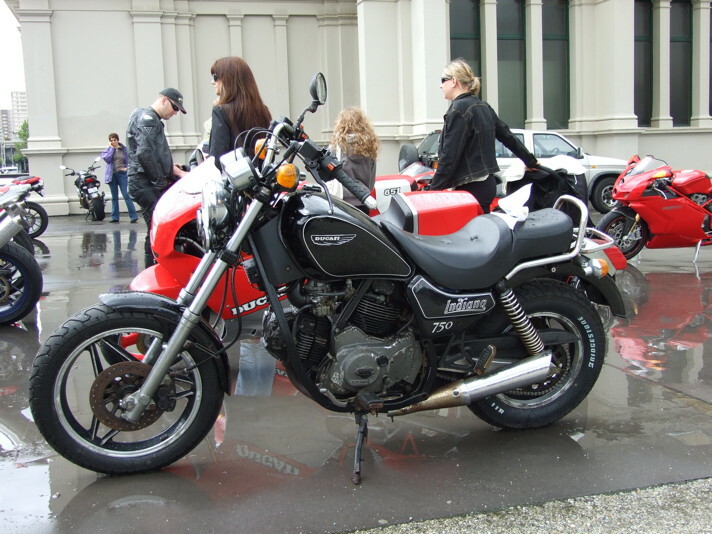 Note the motorcycle MUST be registered or the renewal still in the 90 day “grace period” at the time of transfer – otherwise it is treated as a unregistered vehicle and WILL require a Roadworthy Certificate or VASS Approval.